So all that is needed for this is a Stripped Lower ? Looks like trigger and everything but the lower is included. BEST ANSWER: Yes... you need a stripped lower and rear sight. You are correct. Pair a mil spec stripped lower with this kit and you will have all components to build a complete rifle. So on the top description it shows the bolt carrier included but at the bottom it doesn’t show description of bcg. Does this kit come with bcg and charging handle? Does this include a rear sight? BEST ANSWER: No, but they've been running an option w/ an MBUS and polished trigger for the same price at the time of this writing (Sept. 2018). Can this be shipped to my home in California? Just to be sure this is a semi automatic rifle right? 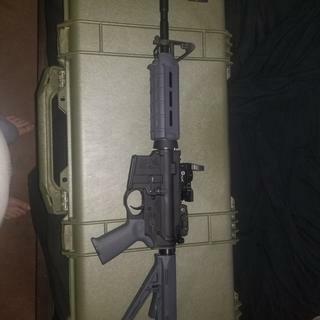 And if it is semi auto it would then be an AR-15 that looks like an M4 correct? The lower receiver makes this rifle semi, burst of still auto. The fire control parts that cone with this kit are for a semi automatic rifle. 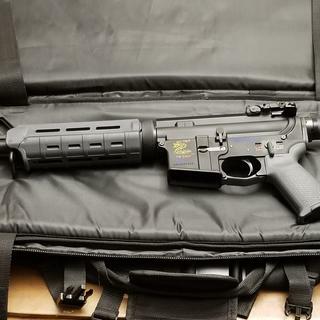 When built it is a clone of the Army’s M4. 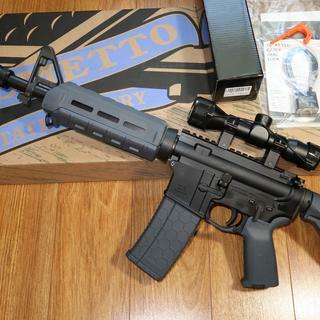 It is a very nice rifle to shoot. Pretty accurate at 300 yards with iron sights. Yes, that is correct. BTW, I like mine, and it is sorely tempting to get another. When is enough enough? Yes, its semi auto. Everytime you pull the trigger, it goes bang! 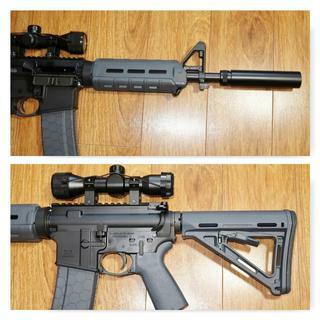 Ar15 is the type...m4 is the style..
Is there anyway I can get this same kit but with a mid length gas system? 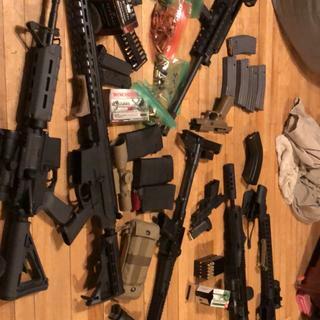 BEST ANSWER: They have available just about every combination of barrel length, gas block, furniture set, and gas system known to man, if this is not the one you are seeking, just keep searching the site. If you don't find the specific combination you are looking for, just wait about 3 weeks and they'll likely have built up a new batch of the one you want. No. What you see is what you get. There are no substitutions. Did you check the website using the search function yet ? BEST ANSWER: No, the gas block is not adjustable. No. It’s a milspec pinned block. Can anyone recommend a rear sight that will be compatible with the fixed front sight in this kit? BEST ANSWER: Get a good scope, and a set of MBUS pop up rears, that way if the scope fails you'll be all set for the iron sights. 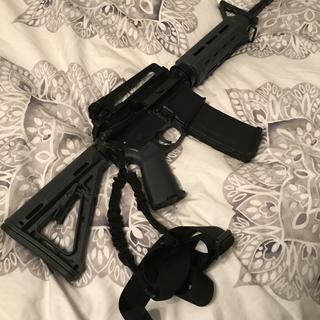 Thanks Kevin - I'm actually just looking to get a compatible rear iron sight for this rifle; I'm planning on buying nice optics for my other build and don't want to spend too much on this one. 5he magpul rear flip up sight works well. Magpul mbus rear site works great! What do I need to buy to complete this rifle? BEST ANSWER: Stripped lower receiver and a rear sight. I installed a scope so I didn’t need a rear sight. A stripped lower. A rear sie or optics of your choice. Just a stripped lower and a rear sight . does this kit come with the pistol grip nut and bolt? YEs, mine came with it. usually all lower parts kits come with those items that I have ever seen. 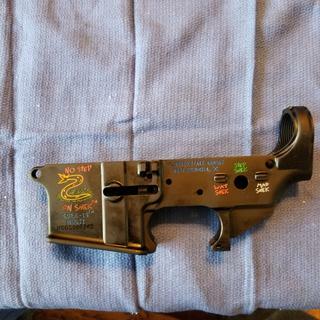 I have a M4E1 lower reviewer laying around , would this upper fit the receiver mentioned ? BEST ANSWER: It should. 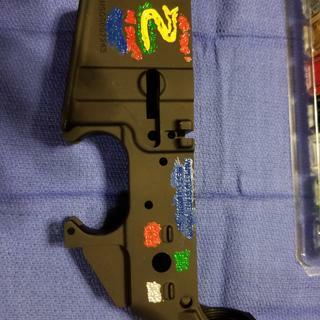 Any mil spec AR15 (or M16) lower will fit. What is the length of the handgaurd? Can I get it ship to California ? Do have one in black? will these uppers ship to ny for fixed mag new yorkers? 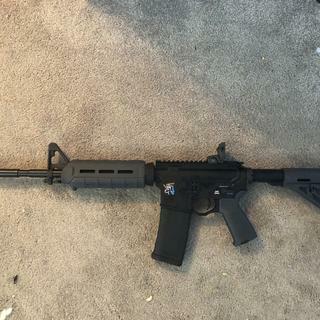 First AR build ever. Thanks to Palmetto State Armory for a great build kit. 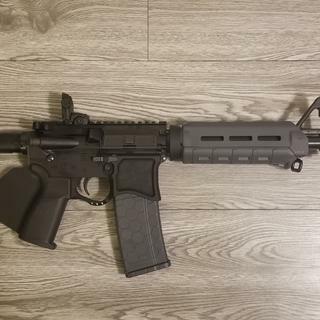 This was my first ever AR build. It was great and I will definitely do more. The parts came together great and it shoots like a dream. Very high quality parts and kits. 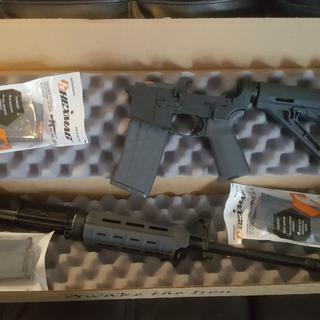 Shipping was exactly what they said it was it took exactly seven days to get the assembled upper receiver assembly to me and I couldn't be happier with the quality and the service. Everything thing you need for a cheap, but fun build! This is a great kit, I have know seen it offered with the rear mbus sight. Makes things better. I bought this rifle kit and paired it with a Del-Ton lower I had bought some time ago to assemble my first build. This was an excellent value, and a great starting point for a first timer. The upper comes assembled. The only issues I had were the pistol grip was VERY tight and needed persuasion with a rubber mallet, and the upper was tight on the takedown pin as well. Everything else went together like butter. The gray was a little darker than I anticipated based on the photos, but the hex mag I ordered separately matched perfectly. Great value!! 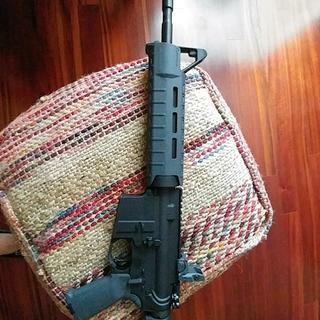 First time building an AR-15. This kit has it all except the lower receiver. The extra detent and spring provides added security for first timers like me. I needed to swap some parts to make them Communist Compliant. 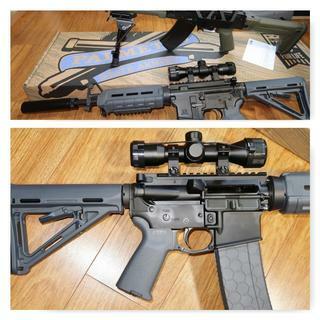 This is a great color and with Magpul furniture and rear sight and the high quality PSA parts you can't go wrong. 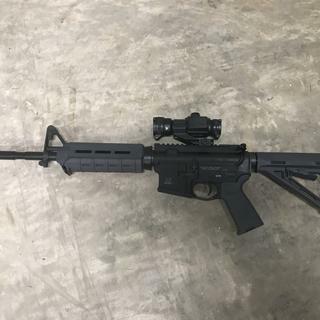 This is also a fun one to mount a red dot to and just enjoy getting range time with. The one thing I would recommend is to purchase a Magpul MOE+ pistol grip if you are so inclined as the rubberized finish makes it easy to hold on to and use it instead of the standard MOE grip. Either way, this kit is a winner at a great price. I've set up a few of these with Anderson lowers. They shoot awesome and function 💯 I like the look of the gray furniture as well. Kit was packaged nicely and final assembled product looks awesome, I definitely recommend this kit to anyone. Top of the line for parts,customer service, and price. I personally think that the build is a awesome rifle. The quality and performance of this gun,is surpassed bye the name, Palmetto. First time builder, this package was perfect, I totally recommend it! Assembled same day I received it. No problems, works great. Have put over 500 round through it so far. Will buy another soon. Very nice kit and will be buying from this site again in future. 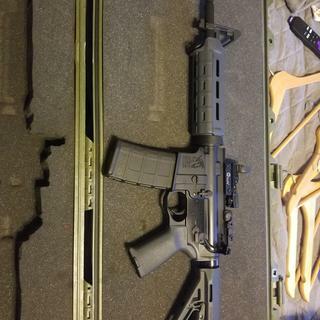 I have built a few AR 15 from Palmetto so far this one is the least expensive kit and a good looking Magpul Gray MOE. The quality of fit and finish is superb. Very accurate. Highly recommend this kit. Great kit, great price, quality. Can’t beat it with a stick for under $400 Build. I’ll admit, I’ve always been a snob with my rifles, and thought PSA uppers would be junk. Bought this for my 12 year old for her birthday, and am very impressed! Getting sub MOA (.91” @ 100 using digital calipers) which is cool and all, but these are battle rifles and let’s be honest, doesn’t have to be sub. Point being, it’s way more accurate than I expected, and definitely more stout as well. Paired it with an aero stripped lower that I bought for $39 awhile back, this rifle is the best bang for the buck in my collection. Great price; works as intended. Good packaging, as well (which is a small but oft-overlooked QOL improvement). 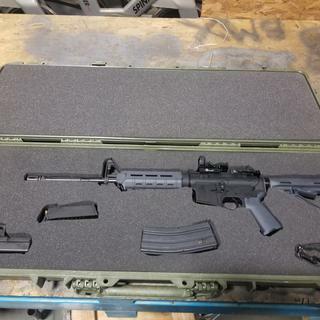 Can’t beat the price and it includes Magpul furniture. Deadly accurate with open sights. Can’t wait to see how it does once an optic is installed. Love this rifle kit. Everything worked great and shipped very quickly. No need for upgrades, it's all there. Can't beat the quality or price. You really can't beat these kits... bought half a dozen in hopes to include an MSR station at my club's next youth day. Paired them with Aero Precision Lowers I had and put a stout fixed sight on top. 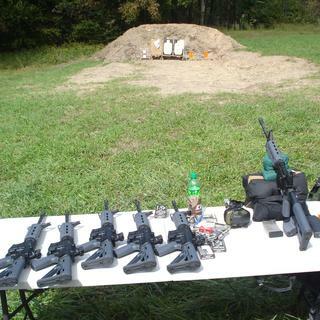 They have all ran like tops w/ various mags, brass and steel ammo. Don't hesitate! Absolutely no dislikes about it. Everything works and went together without a hitch. Very happy with it! I've put about 300 rounds through the kit since I assembled it (with a bare Anderson lower). The upper is very nicely finished. The little carbine has run like the proverbial "sewing machine" without a problem of any kind. The "mil-spec" trigger was very gritty, but a little polishing has negated most of that. I think the kit represents a truly remarkable value. Great color. Looks fantastic, shoots great. Very accurate. You want your best bang for you buck? This is the weapon for you. I’ve shot many weapons in my life, and many I’ve spent a lot of money for. 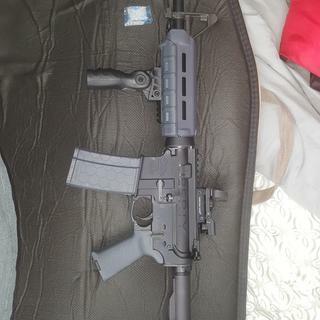 This one is as good as any of the more expensive ARs I have, actually better. It’s simplicity and price is what I am looking for. 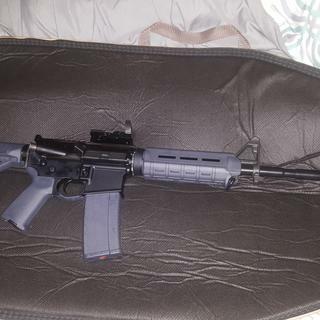 It definitely out preformed my Ghost Firearms AR which misdeeds a bit. I have recommended this to all of my friends who doesn’t care about name brand compared to ma and pa. It came double boxed and wrapped well. All parts are in their own bags. The machine work looks well done. Matched w a S&W lower. Not finished building it yet but my initial impression is very satisfied for the price. My first purchase from Palmetto, I will buy again based on this. Behind enemy lines in CA so building is really the only option left. Great value - fun build. Great value and good quality. I have several PSA builds. For the price, PSA just cant be beat. This is my second parts kit I've purchased from PSA. I haven't had a chance to shoot this one yet, but so far everything has worked great.